Travel to the wilds of Africa for a folktale that will enchant the entire family. An elder tribesman spins an epic, fireside tale of tribal history, captivating young listeners from the start with the birth of a white lion named Letsatsi. His white fur sets him apart from the other lions, making him an outcast in his pride and a target for predators. 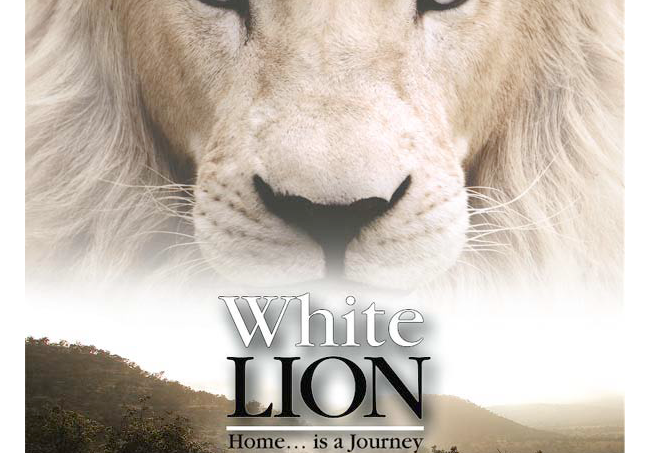 For the Shangaan people, a white lion is legendary, a messenger from the gods. A young Shangaan tribesman named Gisani takes it upon himself to protect Letsatsi at all costs. As he matures, he needs to survive on his own, learning from other lions on his way across the South African plains and into the realm of the most dangerous predator: a human trophy hunter. Shot on location in South Africa, “The White Lion” inspires awe with its lush scenery and intimacy with its wild subjects. Young audiences will love the beautiful wild animals and dramatic suspense, while older audiences will plumb the depth of a unique coming-of-age story that is creatively told with an appreciation for the natural world.